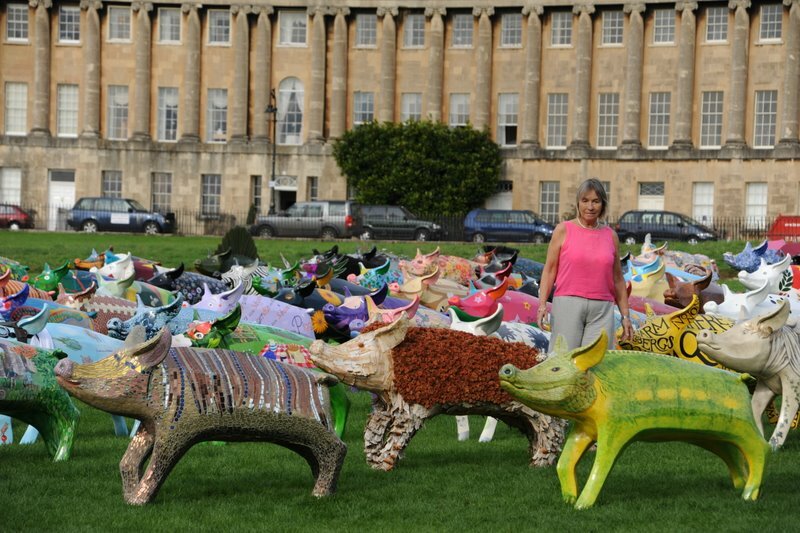 King Bladud's Pigs in Bath was a 2008 public art event to celebrate Bath, its origins and its artists - and provide residents and visitors with artistic enjoyment. Over one hundred decorated pig sculptures were on display throughout the summer around Bath and beyond. The pigs have now all gone from the streets and been sold at auction, for the benefit of Bath's Two Tunnels Project (see www.twotunnels.org.uk). You can still see all 106 pigs on our Pigs page, as well as hundreds of pictures of the pigs in action on our Flickr page. 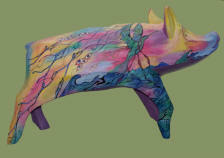 Our very last pig, Pigsaw, was raffled in late 2008 - see auction page to see who won it. Thank you to the 1500 or so people who bought raffle tickets! We are now certain that the project has raised at least £200,000 for the Two Tunnels project. Bath TV have produced a film about the project - watch it on YouTube here.